It is black history month in the United States. So here’s a question: what do Thomas Jennings and Jin Fuey Moy have in common? They certainly never met each other. 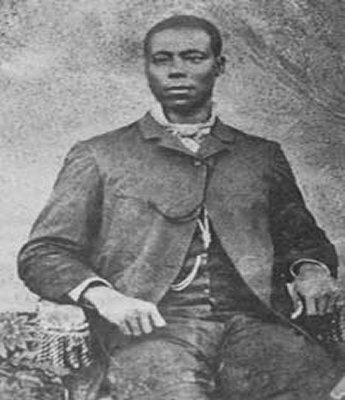 Thomas Jennings (1791-1856) was most likely the first African-American patentee. The patent was granted on March 3, 1821 for a cleaning process called “dry scouring”. He was able to patent his invention because he was a freed man. The patent law at that time would otherwise prohibit granting patents to slaves who were viewed as the property of their master. The first money Thomas Jennings earned from his patent was spent on liberating his family out of slavery and to support the abolitionist cause. Jin Fuey Moy (梅振魁; Mei Zhenkui, 1862-1924), as I have blogged elsewhere, was the first Chinese to file a patent overseas (1908). Dr. Moy came to the United States in 1875, making his way to New York, where he became a domestic servant and was baptized a Christian. He later attended medical school in the United States. Both individuals personally struggled in a country that treated people as property, or excluded them from entering the United States. They also actively opposed these oppressive policies – slavery and Chinese exclusion. When a patent system works well, it should be color-blind, and based on science. It might also “transform” the inventor “overnight.” Perhaps, in so doing, it also empowers them to work towards the betterment of others. The US Chamber of Commerce in Washington, DC has recently posted a job as Senior Director, China. The position requires; 10+ years’ China-related experience; a broad network of contacts in the United States and China; and ability to build strong internal and external relationships and influence at the senior level. Experience as a former official, diplomat, or government affairs executive working in Asia, fluency in Chinese, and advanced degree is preferred. Here’s the link: http://www.linkedin.com/jobs2/view/10007860. On a completely unrelated note, CISAC (the International Federation of Authors and Composers Societies) opened a regional office in China on January 15, 2014. Benjamin Ng, who was formerly with IFPI, is the regional director for CISAC Asia Pacific. I wish Benjamin and CISAC well in their new venture. Perhaps the most significant new office development is still in the works: the opening of a representative office of the World Intellectual Property Office in Beijing, which has been widely discussed in the Chinese press. I have no expertise in this area, other than to note that where counterfeiting is widespread, there can also be an underlying erosion in social trust and even in the national “brand” of China. Is China’s culture of counterfeiting creating a paranoia in the West? Cultural scholars aren’t the only skeptics. Many visitors come back from China and generalize from counterfeit goods in the street to empty “see through” buildings which suggest that China’s real estate boom and even economic growth are also fakes. The interview notes that discriminating between fake and real has a long tradition in Chinese culture – from the ancient philosopher Zhuang Zi to Buddhist notions of illusion (maya), and the classic Qing dynasty novel, Dream of the Red Chamber, which involved two rival families – the Zhen family (a homonym with real) and the Jia family (a homonym with fake). The quest for reality, or escape from illusion, is an underlying theme of that novel. 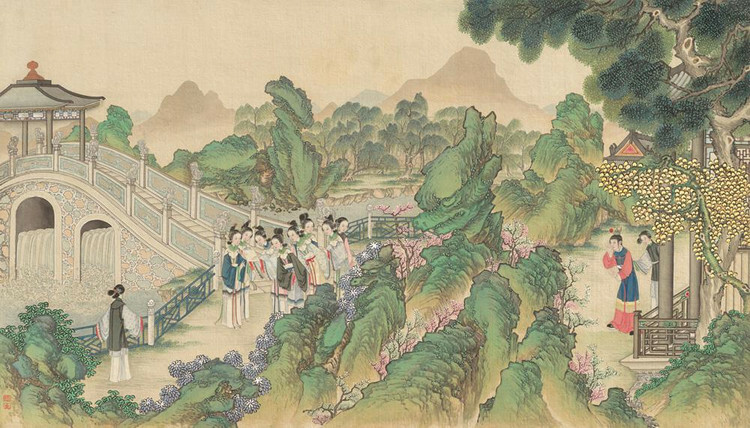 Painting from Wikipedia, entry on Dream of the Red Chamber, by Sun Wen 孙温. The State Council recently promulgated its notice of its “Trial Opinion” on Making Publicly Available According to Law Information on Administrative Penalties Concerning the Production and Sale of Fake, Counterfeit and Sub-standard Goods and Intellectual Property Infringement (Guo Fa No. 6, Feb. 19, 2014). The Chinese and a machine translation are also available here. A) First, as its name suggests the initial focus is on fake, counterfeit and sub-standard goods. While IP infringement is also a part of this effort, traditionally the amount of enforcement against substandard goods is greater than IP. This seems to be the continued focus. The opening chapeau mentions as the first goals of this regulation “to protect consumer interests” and to “maintain the market order for fair competition.” The chapeau does not mention that protecting the legitimate rights of IP holders is a specific goal. It is also unclear if certain IP-related offenses are included in the scope of this regulation, such as illegal business operations by manufacturing or selling of illegal publications and antitrust matters, particularly those that involve Article 55 of the Antimonopoly Law regarding abuse of IP rights. B) The Trial Opinion also has a substantive commitment regarding IP enforcement: administrative agencies, “in principle” should conduct their enforcement actions in an “ex-officio” (self-initiated) manner. The distinction between ex-officio and enforcement on complaint has historically been a problem in certain jurisdictions, as administrative officials may feel less compelled to provide information on cases if they had “self-initiated” cases than if they were responding to a complaint (Art. 1.1). C) The Trial Opinion sets forth specific requirements regarding the information that much be disclosed, such as the name of the offending party, their legal representative, legal basis for the punishment, and person(s) who decided the case. (Article 2). D) County level officials and above ae responsible for directly implementing this Trial Opinion (Article 3). For IP-related offenses, this is likely to impose the highest burden on SAIC, as it is the largest IP-related agency, and has offices at sub-county levels. D) Information that should not be disclosed include trade secret information, government secrets and information that involves privacy concerns (such as involving the physical location of individuals and their phone number) (Art. 5). Chinese practice of not disclosing in its entirety cases that involve “trade secrets” may make it exceedingly difficult to understand how trade secret and many other IP cases are handled, particularly at a time when the IPR Leading Group is considering a trade secret enforcement campaign. It is hoped that, over time, China will publish administrative and civil cases that remove relevant confidential information. The current civil practice seems to involve not publishing cases and sometimes having cases discussed in the press by enforcement officials. This was practiced by judges who have written articles that discussed Huawei vs. Interdigital, an antimonopoly civil case. This approach can have the unfortunate consequence of giving the public the impression that an undue amount of power has been given to the enforcing official to disclose the nature of the case on the regulator’s own terms. In general, the Trial Opinion shows a commitment to greater transparency of administrative agency, and appears to be occurring in tandem with efforts to improvement transparency in the courts. While it took 90 days for this Trial Opinion to be made public, another important step in transparency would be to make public a State Council opinion on improving administrative-criminal IPR enforcement coordination (September 12, 2012). The latter opinion appears to have markedly improved criminal IPR enforcement within China, and may have been referred to obliquely in Article 2.5 of the Trial Opinion as it requires public disclosure of administrative punishments for cases that are referred to criminal prosecution. Pharmaceutical Patent Linkage: Are Rumors of Its Death Premature? At the end of last year, I noted that CFDA’s proposed new Drug Registration Rule could spell the end of China’s limited patent linkage regime. A new public comment draft of the Drug Registration Rule was posted on the SCLAO’s website on Feb 19, 2014, with comments due March 23, 2014. This version of the DRR has new several references to patents, notably Article 19, which provides as follows: “第十九条 对他人已获得中国专利权的药品，申请人可以提出注册申请。国家食品药品监督管理总局按照本办法予以审查，符合规定的核发药品批准文号、《进口药品注册证》或者《医药产品注册证》，专利期满后生效.” Art 19: “An applicant can submit a drug registration application when another party has obtained a patent in China for the pharmaceutical product. CFDA’s division of Pharmaceutical Product Supervision and Management will review the application in accordance with these Rules, and if the applicant is in conformity with these Rules, the drug will be granted a drug approval number, and an “Imported Drug License” or “Drug License”, with the registration coming into effect upon expiration of the patent term.” Article 18 further requires a declaration or explanation of non-infringement by the generic applicant when there is a relevant Chinese patent relating to the drug approval, with publication of such notice on CFDA’s website. Patent disputes, according to Article 18, are to be governed by relevant patent law. Retention of a patent linkage regime, even one that has been weak, is a positive development in China’s efforts to develop an innovative pharmaceutical industry. Equally important, this amendment shows responsiveness by CFDA to concerns about the direction of China’s innovative pharmaceutical sector. Although I have no additional information on the reasons for this change and the expectations regarding its implementation, the rumors of the death of patent linkage in China seem, at this time, to have been premature. 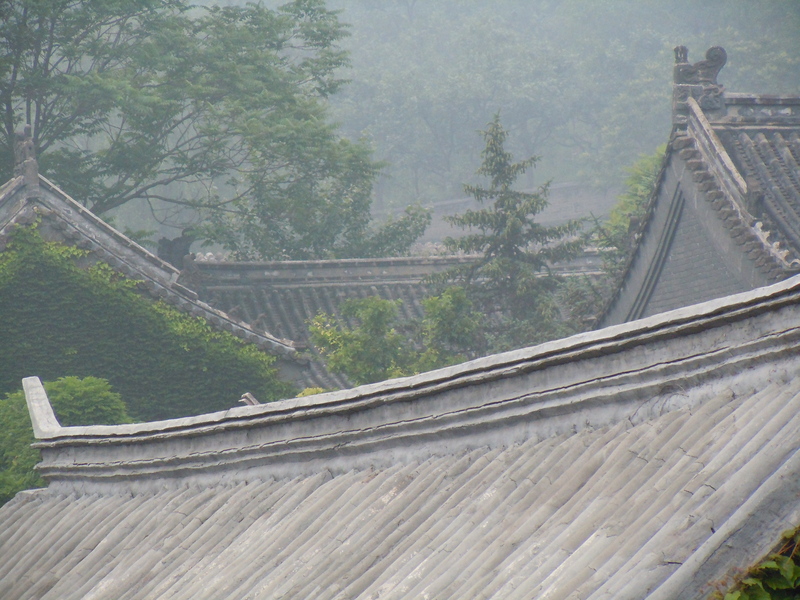 Joe Simone at Simone Intellectual Property Services, has shared a translation of the recent Beijing Higher People’s Court Guidance on Hearing Trademark Administrative Cases (Jan. 2014). In view of the high number of foreign-related trademark administrative appeals which are only heard in Beijing, these rules are very important to understanding relevant procedures and standards. As I have noted in other translation postings these are unofficial translations for reference only. Joe also provided us with a copy of the SAIC Rules on Trading on the Internet (enacted January 26 2014, with an effective date of March 15, 2014). Unfortunately I do not yet have an English language translation of the SAIC Rules. As a key regulatory authority for both trademarks and e-commerce, these rules are important for understanding SAIC’s role in this important area. In case you are keeping track, this brings to five the total number of new trademark-related ‘normative documents’ in final or proposed form – the Trademark Law, the draft of the Implementing Regulations, the draft of the TRAB rules, and now these two.